"So what do we do now?" "We run." The Orchard has unleashed the official US trailer for Taika Waititi's new comedy Hunt for the Wilderpeople, which is another one of our favorite films from Sundance this year (Captain Fantastic being another). Newcomer Julian Dennison plays Ricky Baker, a troublemaker kid from the city who ends up with a foster care family in a rural part of the country, with his new parents, Aunt Bella and Uncle Hec, played by Rima Te Wiata and Sam Neill. Eventually Ricky and Uncle Hec go on the run out in the New Zealand bush. This film is hilarious, heartfelt, and so much fun to watch. We've already featured two trailers from Australia, but one more to convince everyone it's worth seeing won't hurt. You can still watch the full Australian trailer for Hunt for the Wilderpeople here, for even more footage. Description from the Sundance guide: "Raised on hip-hop and foster care, defiant city kid Ricky gets a fresh start in the New Zealand countryside. He quickly finds himself at home with his new foster family: the loving Aunt Bella, the cantankerous Uncle Hec, and dog Tupac. When a tragedy strikes that threatens to ship Ricky to another home, both he and Hec go on the run in the bush. As a national manhunt ensues, the newly branded outlaws must face their options: go out in a blaze of glory or overcome their differences and survive as a family." 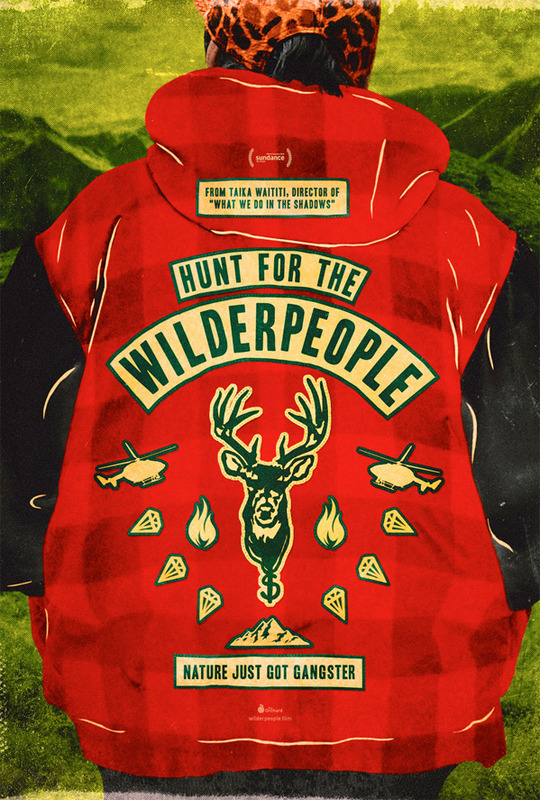 Hunt for the Wilderpeople is written & directed by New Zealand filmmaker Taika Waititi, of Eagle vs Shark, Boy and What We Do in the Shadows previously. It premiered at the Sundance Film Festival (read my review) and was acquired by The Orchard. Wilderpeople opens starting June 24th. Yes. Another great recommendation! Thanks. // I was afraid of it maybe feeling a little like another "White man saves brown people" movie, but given the setting and the way they are handling it, it feels fine. I wonder maybe if the boy will save him, mentally at least. What I really like about Taika's movies is that they have all the little bits of slang and eccentricities of New Zealand, they seem very natural and honest. I live in the UK, but till find them really funny. That was the best use of that song I could have ever imagined. This is the one movie for me this year. Just looks so perfect in every way. Character driven, funny and random! Excellent movie Loved it. Now where can we see it in the US?